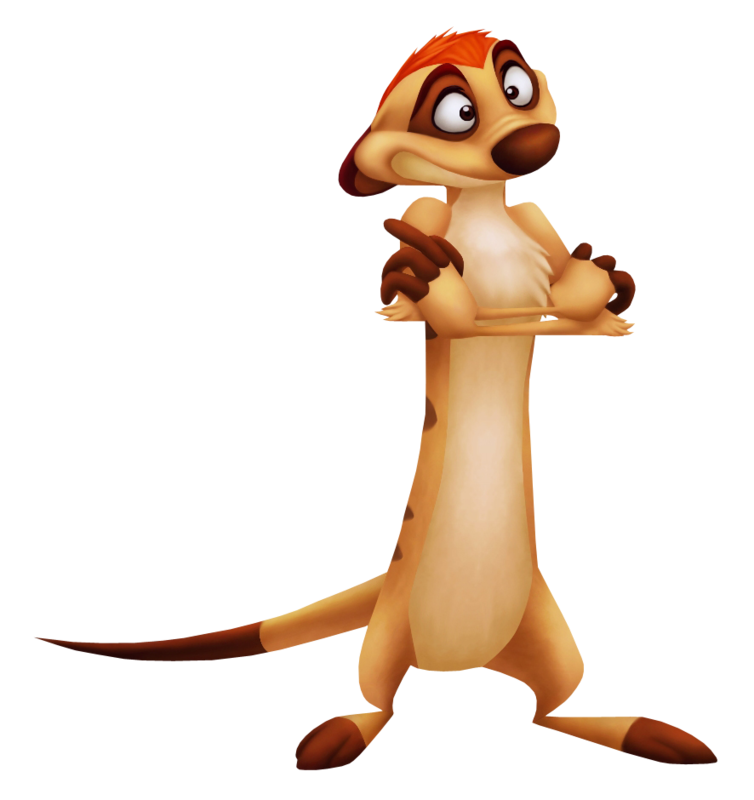 Simba's wisecracking meerkat pal, Timon upholds the motto ‘Hakuna Matata', and lives a peaceful life with Pumbaa and Simba (whom he rescued from the Wastelands) in the Oasis. A staunch believer in taking life one day at a time without any worries, things become complicated once it is revealed that Simba is the heir to the throne of Pride Rock, but friendship wins over Hakuna Matata in the end when he and Pumbaa overcome all odds to face a pack of hyenas. He stays by Simba's side during his reign, continuing his trademark carefree way of life but rising to the cause when needed.